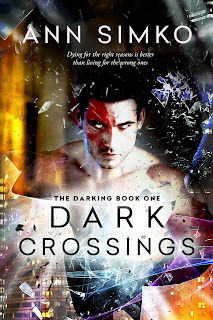 Cross and Kale Delancey were born for one purpose; to be studied for their paranormal abilities. When Cross convinces his twin to escape from ‘The Department,’ he is shot. Blinded and separated from Kale, Cross’s memories are wiped. He is given a new life. A past in which he believes Kale is dead. With no memories of his life at The Department, this new Cross is safe, he is malleable. He can still be studies without the risk. His entire life is scripted and Kale is threatened with his safety unless he places nice and does what the department wants. Until ten years later, Cross begins to remember. The department brings him back in and all bets are off. Cross isn’t fourteen anymore. He’s pissed and he wants his brother back.